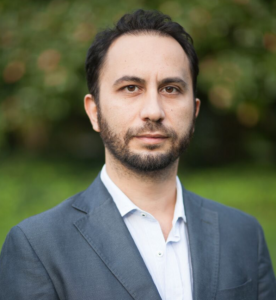 Bican Polat received his joint-degree Ph.D. in Anthropology and Intellectual History from Johns Hopkins University in 2016. He studies how psychiatric practices and knowledge systems intersect with politics, culture, and technological media, with a primary focus on the Anglo-American world during the twentieth century. His book project, “The Emotional Bond”: The Psychiatric Normalization of Parent-Child Relationships in Late Modernity, explores these dynamics in the context of the history of psychiatric ideas about the maternal bond, tracking the growth of investigative communities that have contributed to the formation of parent-child relationships as a medico-scientific specialty. Drawing on archival and ethnographic methods, and focusing on expert knowledge practices, this project reconstructs the development of attachment research from its early origins in interwar psychiatry and psychoanalysis to the most recent approaches in behavioral neuroscience and cross-cultural psychology. His work received the support of the Wenner-Gren Foundation for Anthropological Research and the Center for Advanced Media Studies, and has appeared in publications including Parallax and Journal of the History of the Behavioral Sciences.